The emergence of Fintech companies in Canada provides a compelling opportunity to examine the differentiators between them and traditional banks. The evening will touch on Fintech customers” and “employees”. What are the expectations of the Canadian consumer and how do they address both models of service delivery. The evening will also present the traditional banking perspective of a Fintech. From hiring staff , raising capital, scaleability, regulatory oversight and flatter organizations FinTechs approach within the banking industry represents a dramatic change. Do traditional banks need to change or adapt in the market. Will FinTechs require a change in their view of the consumer? What if any impact will there be to the role and/or qualification of employees in areas of marketing, operations, risk. The presentation promises to provide attendees with an understanding of the direction of lending in Canada and the impact on both consumers and employees. 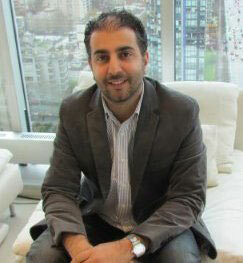 Ali has been Chief Executive Officer of Progressa (formerly Creditloans Canada Financing) since its inception in 2013. Born and raised in Vancouver, BC, Ali holds a Canadian Chartered Accountant degree and a BBA in Finance from Simon Fraser University. Ali has decisively positioned Progressa for its next generation of growth by recently executing on several initiatives, including securing an $11.4 million Series A financing. Under Ali's leadership, Progressa has successfully raised over $20.0 million of investor capital, invested over $2,000,000 in its proprietary lending technologies, and grown to over 70 employees in Vancouver and Toronto. Prior to being appointed CEO, Ali was a corporate insolvency and restructuring manager at a boutique advisory firm, where he operated, restructured, and sold a number of public and private companies under court appointment. Ali was a lead auditor with PricewaterhouseCoopers LLP, where he managed top-tier engagements of financial firms including JP Morgan Asset Management Fund and Phillips, Hager & North. Ali began his professional career at a young age, co-founding a leading IT services firm in Edmonton, AB and Vancouver, BC, in 1998, which grew to 30 employees. Ali exited the venture in 2005. Jonathan Goodman is the President of C2O Consulting Group Inc., a boutique consulting firm specializing in Credit, Collections and Operations. C2O offers a range of assessment, advisory and process improvement services to financial institutions, insurers, financial technology companies and their business partners. Jonathan has over 25 years of experience in the financial services industry working for CIBC, President’s Choice Financial, Canadian Tire Financial Services as well as Equifax. As an executive, he has led large national credit, collections, product and operations functions through significant positive and negative economic cycles. In addition, he has consulted in the areas of risk management and credit scoring for the telecommunications, retail and finance industries. Jonathan has designed, developed and launched credit bureau scoring models as well as fraud detection models for the Canadian marketplace. Jonathan has also been active within the industry over the years as a prior member of the Consumer Credit Specialist Committee for the Canadian Bankers Association, the Board of Directors for Credit Counselling Canada, as well as the Board of Directors for the Credit Institute of Canada, Hamilton Chapter. 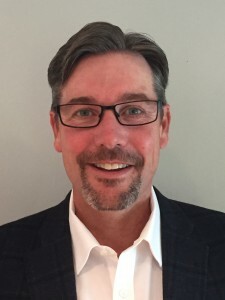 Scott has been active in the Canadian and US consumer finance industries for more than 20 years through roles at AVCO Financial, Equifax, Assante Wealth Management, and as the head of investments at Portfolio Management Group. 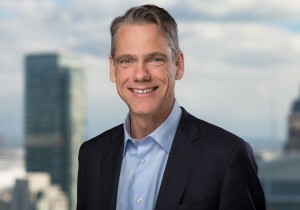 In 2008 Scott partnered and co-founded Canaccede Financial Group and Affirm Financial Services to focus on acquisitions and originations in alternative consumer finance. In that time the company has grown to more than 80 people with offices in London, ON and Toronto. Scott holds a BA in Political Science and Economics from Western University.